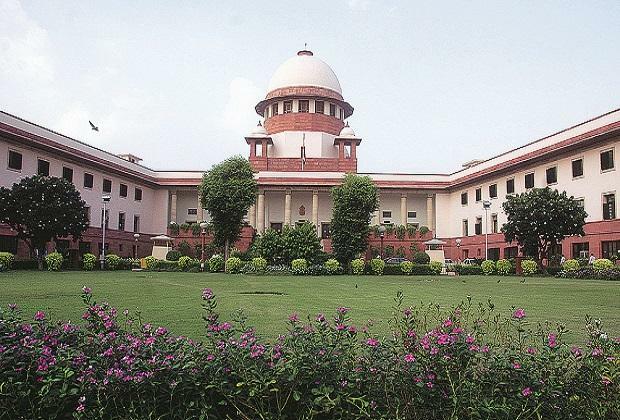 The crucial hearing on CBI's plea seeking initiation of contempt proceedings against three top West Bengal officials for allegedly obstructing probe in the Saradha chit fund scam could not take place in the Supreme Court on Wednesday as Justice L Nageswara Rao recused himself. West Bengal Chief secretary Malay Kumar De, Director General of Police Virendera Kumar and the then Kolkata Police Commissioner Rajeev Kumar had on February 18 filed their responses to the contempt notice refuting CBI's allegations. They asserted that the central sleuths forcefully tried to enter the police commissioner's residence on February 3 without valid papers. "There is a problem. My learned brother (Justice Rao) had appeared for the state government and he does not want to be part of the bench," a bench comprising Chief Justice Ranjan Gogoi and Justices Rao and Sanjiv Khanna said at the outset. "I have no problem," Attorney General K K Venugopal, appearing for the CBI, quickly responded and urged the court to go ahead with the proceedings. Venugopal, referring to the responses filed by the top state officials in which they have denied the allegations of obstructing probe, said that the CBI would like to file an additional affidavit. Senior advocate A M Singhvi, appearing for the state government officials, referred to the Supreme Court Rules and said the CBI could not have filed the earlier additional affidavit in the case after the apex court had issued the contempt notices. The central probe agency had filed the additional affidavit after taking the leave of the court, said Solicitor General Tushar Mehta, also representing the CBI. The court, which asked both sides to file their additional affidavits and complete pleadings by February 25, has posted the matter for hearing on February 27 before an appropriate bench. The apex court had earlier issued notices to the state government's top officials after the CBI had referred to the "extra-ordinary" situation faced by the agency sleuths on the night of February 3 in Kolkata in conducting probe into the chit fund scam. It had said that after perusing the affidavits, a decision will be taken whether the officials would be required to make personal appearance before it on February 20. The bench had taken note of the allegation that Rajeev Kumar, who was earlier heading the state government's SIT, had destroyed the electronic evidence related to the scam and had said that it will come down heavily on him if he "even remotely" tries to destroy the evidence. The three had tendered "unconditional and unambiguous apology" for alleged disobedience of the court, but refuted the CBI allegations. They, in their separate affidavits, had said that the central agency sleuth had forcefully tried to enter the Kolkata police commissioner's residence on February 3 without valid papers. The trio had maintained that the West Bengal government and the state police at no point of time obstructed investigation nor any official denied cooperation to CBI. The officers had opposed the contempt petition against in which CBI alleged that they were tampering with evidence and not complying with the apex court's various orders relating to the probe by asserting that there was a need for directions to the probe agency not to make any vague allegations without substantial and cogent evidence. They had also claimed that no police officials went on 'dharna manch' where West Bengal Chief Minister Mamta Banerjee sat to protest the CBI action.